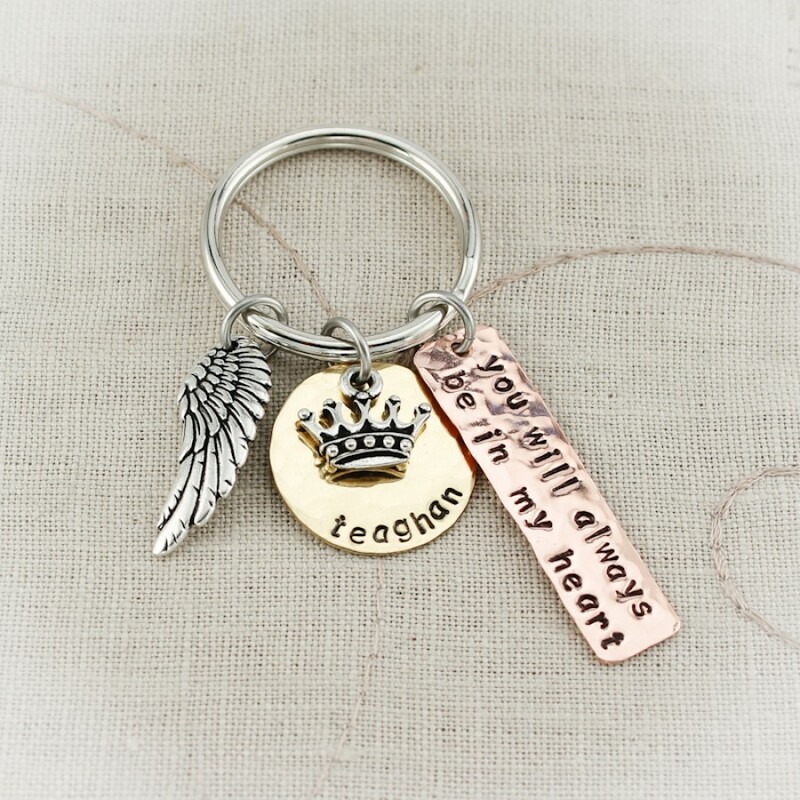 A special keychain for a loved one you will always remember. 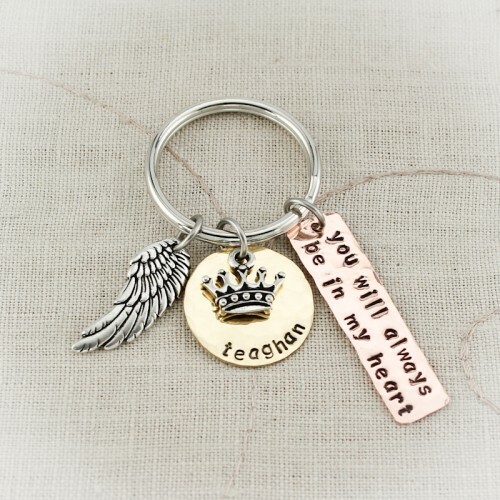 Three different charms make up this keychain. 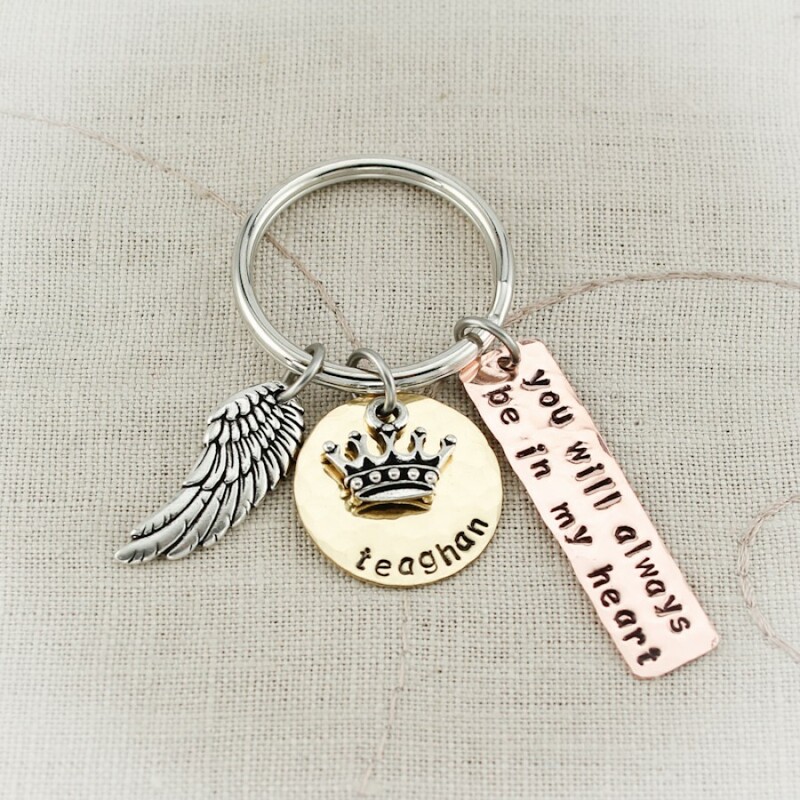 First a disc hand stamped with a name, layered with a charm on top (see photo for choices), a silver angel wing, and a copper tag that says "you will always be in my heart". 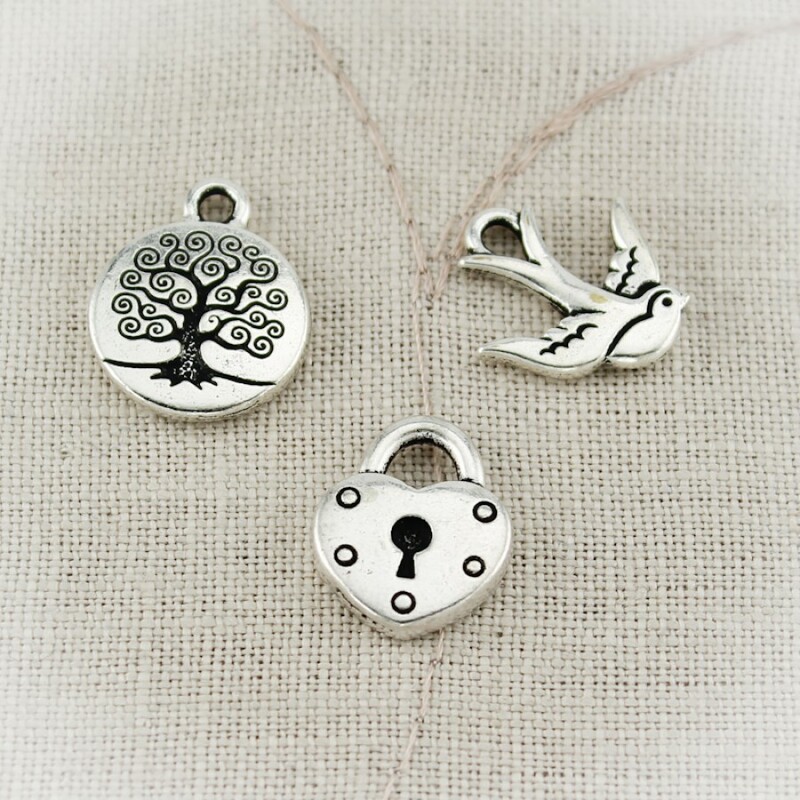 All charms are attached on a silver key ring with sturdy stainless steel jump rings. Size of disc is 1 inch, size of tag is approximately 5/8" by 2".